Hello! I’m Vanessa Ho, L.Ac. a licensed acupuncturist at Healing with Zen who is passionate about skin health and making sure patients feel beautiful naturally! I’ve always suffered from tired, dull, and acne prone skin for many years. As a result, I’ve tried facials and products to help get that youthful glow back. It wasn’t until I started facial acupuncture and taking herbs that my skin bounced back (quite literally). This really ignited my passion for dermatology and thus my specialty in acupuncture. I’m here to give you the answers to the most commonly asked questions I hear from patients so that you may better understand how this ancient and effective practice really brings on the glow from inside out! First of all, what is facial acupuncture? 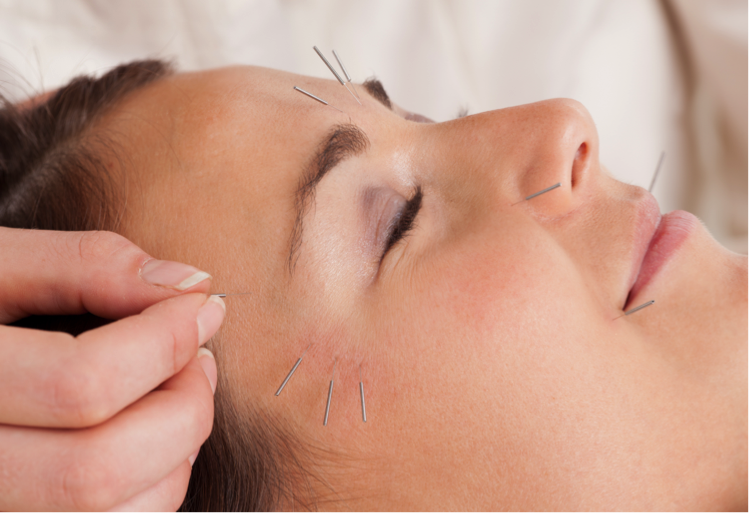 Facial acupuncture is the use of Hair-thin needles that are gently inserted into specific points on the face to facilitate the movement of blood and boost collagen production. The needles are gently stimulated, which activates the production of collagen in the skin, improves skin elasticity, tones facial muscles, and reduces the appearance of facial wrinkles and sunspots while rejuvenating the skin giving a lit from within glow. Cosmetic acupuncture focuses on reducing thin and deep wrinkles, sunspots, scars, droopy eyelids, double chin, sagging jowls, and imbalanced skin tone. What is the difference of the effects of Botox versus this natural alternative? While Botox results last for 3-6 months, and takes 5-7 days to see, facial acupuncture really works to aid your body along to create its own natural collagen and thus create longer term effects. Usually it will take from 8-10 treatment sessions ranging from once or twice a week to see more results, however, these results last longer and create much more natural looking youthful skin. How is it different than other cosmetic procedure options? To put it simply, there is no downtime in terms of waiting for your effects to show through. With procedures like Botox and chemical peels or laser treatments, there are oftentimes side effects like swelling, bruising, or allergic reactions. Facial Acupuncture really works with your body to encourage it to naturally heal itself and produce its own rejuvenated look. It is gentle and the effects are long lasting as the collagen being produced is from your own body. Renew your skin and get your glow on by booking an appointment to reserve your Facial Acupuncture Rejuvenation package! 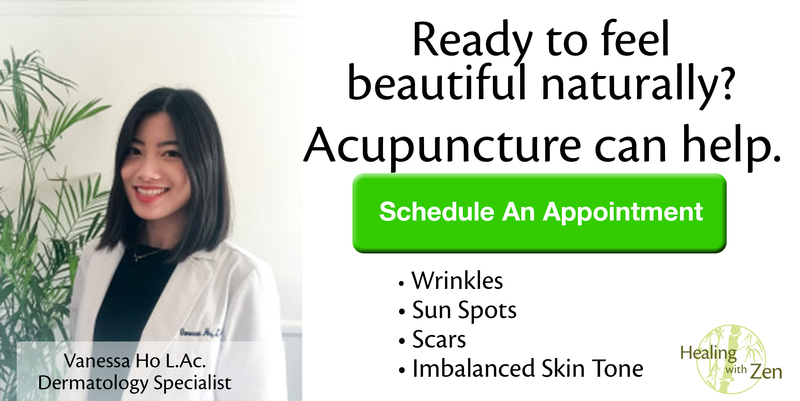 Click here to book an appointment with one of our talented licensed acupuncturists and get started on reducing the signs of aging naturally.